Its been a long time since we last updated our NICI wallpaper page. 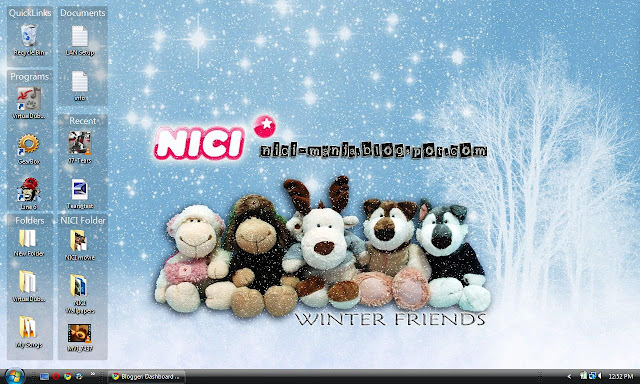 NICI-mania proudly presents NICI Winter wallpaper for the winter season that just came by for those up north. 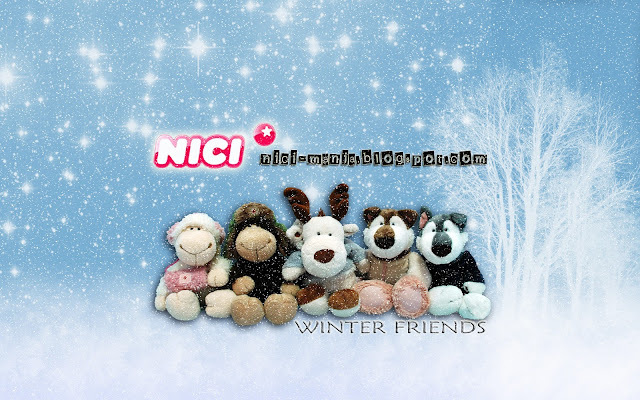 Although the weather is getting colder and colder, we wish to keep your heart warm with our cute NICI winter friends. Our cute NICI winter friends are all waiting eagerly for the arrival of the 'Ice Guys' Penguin from the latest NICI winter series. The penguins are so lovely, they will fit nicely in our flock. Any ideas or request for wallpapers will be entertained. Happy winter!